Apple’s carrier partners have been seeded a ‘near-final’ build of the iOS 5 software destined for the iPhone 5 when it launches later this year, reports 9to5Mac. The new build has several additional features enabled including Facetime over 3G and the speech-to-text features that we have previously talked about. The carrier partners have been instructed to test Facetime over 3G extensively, raising hopes that iPhone users will soon be able to use Facetime anywhere they have a data connection. This doesn’t mean that we will be seeing Facetime 3G in the final release, of course, but it does mean that carriers are at least being encouraged to test it on their networks. This build of iOS 5 is said to be a newer one than the one available to developers currently, which is beta 7. Currently, Facetime must be used over WiFi connections only, limiting its usage as you are normally around a computer when you’re on WiFi and can use higher quality services like Skype. Apple’s new speech-to-text feature is also said to be in the build as well. 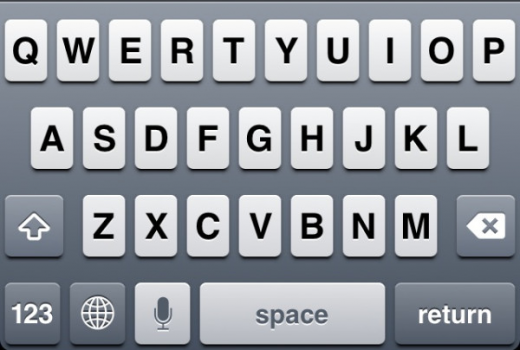 This feature, which we have seen referred to as ‘Dictation’ internally, allows users to tap a microphone button and speak into the iPhone, which will transcribe the voice into text passages. This feature apparently works very much like Android’s speech-to-text and is said to be ‘very polished, quick and accurate’. This was initially thought to coincide with a system-wide ‘Assistant’ feature that would act much like fellow Nuance partner Siri’s capabilities. The Assistant feature would allow users to perform a variety of system-wide tasks using voice input, but the sources say that it does not appear in the build pushed to carriers. This could mean that it is not going to make an appearance, of course, but it may also mean that it is simply being refined further internally before being released for external testing. Android has long been praised for its speech-to-text and voice control capabilities, which are quite good. 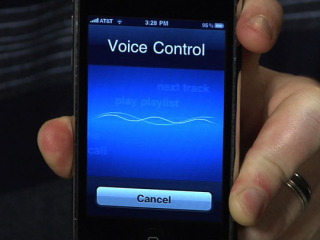 The voice control feature of the iPhone, by comparison, is slow and relatively rough. This is another area where Apple has an opportunity to build on the feature set of a competitor and deliver an experience that is similar, or perhaps better, than what came before. There is apparently a round of internal training going on that is preparing Apple Retail Store employees to answer questions about iOS 5 and iCloud. This training is being delivered, at least in part, to employees at the carrier partners as well, which is where this information originated. The training materials include detailed videos and PDFs that detail the features of the new OS and how it integrates with iCloud. It is looking more and more likely that iOS 5 will be released alongside the iPhone 5 early in October, with an announcement within weeks. We will, of course, keep you informed with the latest iOS and iPhone 5 information right up to the release day.